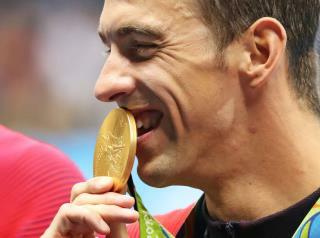 The tax is not on the medals themselves, it is on the payment for winning them, which is indeed income. What the article doesn't point out is that the US taxes world-wide earnings on its citizens. So, for example, if you are a U.S. Citizen and you live in Singapore and work in Singapore you still owe US tax on your income if you are in the US more than a few weeks a year. Most countries only tax you on money you earn in your own country. So, if a British athlete receives money in Brazil, Britain does not care. Occasionally people will renounce their U.S. citizenship to save tax. For example, if you are a U.S. Citizen who lives and works in Singapore you could only stay in the US a few weeks a year, or you pay tax. But if you renounce your citizenship and become Singaporean then you can enter the U.S. for 90 days at a time.